Despite propaganda generated to convince American voters that Obama is a natural-born citizen, the recently released document lauded by handlers and information manipulators remains unvettable due to its municipal origins, vanquished by the absence of an original 1961, Hospital generated “Certificate of Live Birth” which all Natural born presidential candidates would possess…all except one. It is hard to imagine the American media could be this stupid. Four years have passed since Barack Obama announced his candidacy for the Presidency and during that time he has never provided an original, 1961, hospital generated, standard version of a NVSD “Certificate of Live Birth” containing the signature of the Deputy Registrar of the State of Hawaii (not a local Registrar), and the name of an attending birthing physician with accompanying information about medical metrics of the birth. However, Obama sure seems to rely on that little municipal agency way out there in the Pacific Ocean to provide whatever document, containing whatever label they decide to put on it that day, to perpetuate his epic deception. Despite questions about its authenticity, the recent document issued by the Obama regime is a well dressed copy of a form of birth documentation created, once again, by the Hawaiian Department of Health, not a hospital, which is the same record commonly triggered by Hawaiian vital records laws upon the registration of births in that state, regardless of the location of the birth. Officially, births can be registered in the state of Hawaii regardless if they actually occurred there when a doctor is able verify and sign an administratively originated "Certificate of Live Birth" from the Department of Health. The doctor does not have to be the actual birthing doctor. Official 1961 Certificate of Live Birth template created by the National Vital Statistics Division of the U.S. Department of Health. This form is declared by the Vital Statistics Report to be the "Standard Certificate" to be used by Hospitals in the United States. Notice the lower section pop-out which explicitly says "This section must be filled out". This section is used by hospitals to record the weight of the baby at birth, the duration of the pregnancy and if the birth is legitimate (occurring to married parents). It is also used by the local vital records office to record changes in the childs vital record status such as being adopted or a name change after birth. This section is not present on Obama's alleged long form Certificate of Live Birth because it was not issued by a hospital at the time of his birth. It was issued through an administrative process after a doctor examined him as a baby in the hospital named on the document. Because of its historic indigenous population, "walk-in" registrations and permeable migratory culture, when a doctor examined the child in the 1960s and affirmed parentage and identity, that doctor became the attending physician of record in Hawaii, regardless if he or she was actually the birthing doctor. According to HRS 338 and 571, the term "attending physician" does not only mean one who attends the birth in Hawaii, it also applies to one with medical qualifications who examines and attests to the health of the child after birth. A hospital has no such laws governing the way it issues a Certificate of Live Birth. This form of original birth certificate is issued under one condition. The baby being born in that hospital at the time and place indicated on the document. The document image released on April 27th omits information from the lower region of the form which is available on a standard version of the 1961 “Certificate of Live Birth” describing amendments to the document, updates and birth metrics such as weight and length. This region is commonly used by the hospital identify any medical information pertaining to the parents as well as complications which may have arisen from the delivery. If the hospital does not use this section of the form for medical information, the state Department of Health will use it to record amendments, such as adoptions, name changes, parental identification and other notations related to the identity or status of the child. However, the recent push to focus on the canards about Obama’s place of birth as stated in this wanton document image is yet another diversion from his failure to secure evidence proving he is eligible to hold the office of the presidency. While the liberal media desires to focus on Obama’s failures as a president, the American people continue to ask the most important preeminent question of all. Is Obama even eligible to be president in the first place? Perhaps the President would have never been a failure if it had never been Obama to begin with. That’s a lot to consider for the corrupted minds of the liberal establishment. The most important document in this desolate saga is the 250-year-old blood-ransomed U.S. Constitution and, thus, the foundational doctrine of America’s vintage heritage, not some unverifiable, manufactured document from some stupid municipality way out in the ocean. Vintage Americans should now understand by now, no matter what document Obama releases about his natal identity claiming to support his legitimacy as President, there are only two possible results which can ever occur. The document will either damage him politically or it will confirm that he is not eligible to be president. First, Obama’s birthplace is irrelevant. His alleged father, as stated on the recently released “Certificate of Live Birth” registration, was never a U.S. citizen. Obama could have been born on the steps of the Lincoln Memorial and he would still not be eligible to be President. 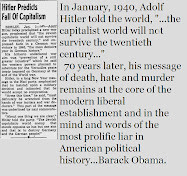 On the other hand, if it turns out that Obama’s original parentage at conception is different than he has claimed it to be for the last three years, and the original document shows the previously un-amended version of his original “Certificate of Live Birth” confirming this, then he will be politically destroyed by his opponents for lying about his identity, rendering him un-electable. However, let’s go ahead and discuss the “Certificate of Live Birth” document image posted on April 27th, 2011 to the internet, and confirmed as a long-form birth certificate by Obama himself. It should be understood by all Americans that, regardless of its authenticity, the form document containing the recently released “Certificate of Live Birth” image, claimed by Obama to prove he was born in a Hawaiian hospital, was not provided by the originating source of his attested birthing witnesses from any hospital. Instead, the information and form of this particular publication were generated by the same agency which previously created the fraudulent, independently published Hawaiian “Certification of Live Birth” in 2008. Recall in 2009, the mother of twins, Susan and Grethen Nordyke, requested and received two photostatic black copies of their original, August 5th 1961 “Certificates of Live Birth” which were produced and filed by personnel of Kapi’olani Hospital in Hawaii allegedly one day after Obama was born in that same facility. These copies contained five signatures, including the identities of four witnesses to the birth. The Nordykes' births were then registered by the Department of Health in Honolulu and assigned numbers based on the geographic location of the regional branch of the Health department office the births were registered in. Birth registrations numbers are not issued based on chronological order. They are issued based on the order they are received from the local offices around the state of birth. Yet, the fact that Obama would audaciously present yet another document created by the very same abetting agency which has notoriously concealed, corrupted and maligned every previous piece of information about Obama’s natal biography is, in a word…punishable. 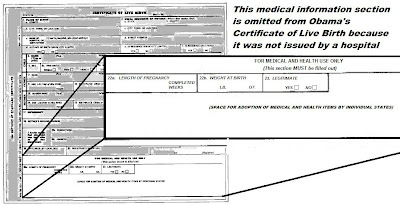 Despite evidence strongly suggesting that the information provided in the recent image of a “Certificate of Live Birth” has been manipulated and, perhaps, forged, it is the fact that it even comes from the Hawaiian Department of Health is, in itself, the only reason needed to completely reject it as a counterfeit in its capacity to confirm Obama’s eligibility to be president. Unfortunately for Obama, the administrative procedures and Hawaiian vital records laws allows that state’s Health agency to create original birth certificates for births which do not occur in that state when the newborn child is examined post-delivery by a licensed Hawaiian physician and determined to be a child of parents who claimed Hawaii as their legal residence within a year of the birth, regardless of the location of the birth. The laws also allow the Hawaiian Health Department to name the hospital or facility where the examination takes place as the actual birthing location. The problem I have here, again, assuming the information on Obama long-form COLB is authentic, Dr. Sinclair did sign the document four days after the alleged birth took place. I cannot believe a doctor would do such a thing if he wasn't sure he was looking at a four-day old infant, or relatively close to that age -- within the time it takes an umbilical cord to disintegrate. As I say, I am much more interested in tracking down Stanley Ann Durham/Barack Obama Sr.'s missing Hawaiian marriage license. If their marriage cannot be proven, or even if it is found, but found to be illegal, would be determinative as to Barack Obama Jr., Art. II natural born standing. If Stanley Ann Durham was not legally married to Barack Obama Sr., Barack Obama Jr. would, in fact, be an Art. II natural born U.S. Citizen. Hawaii has the most uniquely developed vital records processes in the U.S. Its municipal government has undergone vast changes since statehood and its "territorial era" existence. Most people falsely believe that Hawaii did not keep records of vital statistics until it became a state. In fact, the territory of Hawaii had in place a burgeoning government able to account for births since around 1900, before the U.S. established an official "birth registration" region for the NVSD report. As to your doubt about a doctor signing a "Certificate of Live Birth" as an attending physician, there are multitudes of examples in which doctors in Hawaii "vouched" for the native birth of child in Hawaii because, as the culture there shows, many babies were not born in hospitals until after WWII. Therefore, doctors were forced to accept testimony as to the baby's identity and the parents it belonged to after examining the health of the child. The likelihood that the Hawaiian Health Dept. could have created an original Certificate of Live Birth "post-delivery" for Obama and had the birth registered after a doctor "vouched" for his identity is highly possible. batazoid - you are wrong on Ann Dunham's maritial status to Barry's father having anything to do with NBC. Natural Born has nothing to do with marriage. It has only to do with parentage. None of the historical precedence, including Vattel, the founders' writings on the subject, or the several SCOTUS opinions speak to marital status. The speak only to parentage - two citizen parents not two married parents determined Natural Born. Penbrook One - I have looked at the Nordyke BCs and they appear to be the same format as Barry's. I don't see any medical info or for that matter any witness signatures. ??????? It's just a matter of following our Naturalization and Immigration Laws in effect at the time Barack Jr. was born. If a U.S. woman gives birth within the jursidiciton of this country, and the father is unknown or not legally married to her, her off-spring becomes a natural-born U.S. Citizen. Think about it. What else can it be? What law would be required to make is a U.S. Citizen? Where is the dual allegiance? Another question I have has to do with Jerome R. Corsi's new book "Where's the Birth Certificate". I wonder if Dr. Corsi would consider the information contained in his book prima facie evidence that Barack OBama was not born in any hospital in Hawaii? I apologize if I have misunderstood your post. I thought that is what I stated. I have no doubt that Dr. Sinclare simply examined little Barack Jr. four days after his birth. I would find it very hard to believe Dr. Sinclare would have signed the birth certificate on August 7, 1961 if he was looking at an infant that was over a couple of weeks old. An infant without an umbilical cord for instance. However, as you may well know, there is growing dispute as to the authenticity of Dr. Sinclare's signature on Obama published long-form COLB in the first place. batazoid - The nexus of the term "Natural Born Citizen" is the root of 'natural' = 'nature'. Natural Born citizens acquire their status from their parents (actually at the time of the founders the father's status was predominant), that is to say "from nature". Ay citizenship acquired by an act of law is by definition not acquired through nature and therefore cannot under any circumstances be Natural Born. Second, no law can define Natural Born. No immigration law or any other law passed by congress can define the meaning of the constitution. This can only happen if the Supreme Court were to interpret the meaning of natural born in the context of the founders' intent, or if congress and the states were to amend the constitution to set forth a constitutional definition. In that connection there are some 4 or 5 SCOTUS cases where the justices have opined in dicta on the meaning of Natural Born and in every case they have set forth the meaning that is supported by the Founders' writings, which is born to two citizen parents on U.S. soil. In one case the justice quoting Vattel verbatim. The Obots response has typically been to "spin" the 14th amendment trying to apply "under the jurisdiction of" as conveying Natural Born Status, but the 14th deals with "citizens" not Natural Born Citizens". There is simply no precedent that I have ever seen that would support what you are saying. Marriage has nothing to do with Natural Born and if a child has a father that is unknown entirely or has unknown citizenship status, that is not an exception that would convey Natural Born status to that child. This not only defies logic in the face of the historical precedent that we have, it amounts to simply making something up to satisfy an Obot's desire to advance their political agenda and their ideology. As for Barry's true birthplace, there is no objective evidence available at this point to support that it's Hawaii. Penbrook One's essay here aptly points out that the Hawaiian laws allow for loopholes in obtaining BCs that simply prevent knowing for certain in the absence of a hospital generated BC with a witnessing doctor and attending witnesses attestations. I don't think Barry knows where he was born. All of this talk about the BC detracts from the issue that Barry is not Natural Born anyway because of his father's foreign national status. It also precludes the issue of his Indonesian status and adoption by Lolo Soetoro. It is highly likely that his legal name is not Barack Obama but rather Barry Soetoro as is evident from his Indonesian school records. There is no evidence that he ever legally changed his name from Soetoro, in which case BHO is an alias and a fraud being perpetrated on the American electorate. Also dual citizenship can only occur when both countries agree. Indonesian law at the time did not allow for dual citizenship. So if in fact (as the evidence indicates) he was legally adopted by Lolo and enrolled in Indonesian school as an Indonesian citizen (the law in Indonesia in the 1960s required that only Indonesian citizens could enroll in Indonesian schools - more evidence), then he relinquished his U.S. citizenship when he was adopted. There is no evidence that he ever re-acquired U.S. citizenship under the U.S. immigration laws, so it is altogether possible that in addition to not being Natural Born, he may not even have citizenship and is in fact an illegal alien. There is some speculation that Dr. Corsi's book will address this issue, which after the fact that he's not Natural Born, is probably the biggest issue that has gotten no attention in the media. The BC issue keeps everybody away from the real issues of his eligibility. While I deeply appreciate and agree with your explanation of what is required of an Art. II "natural born" Citizen; I fail to see, as I asked in my previous post: "By what act of law is required to make such an offspring a U.S. Citizen? Where is the dual allegiance? As far as his Indonesian citizenship is concerned, clearly, his U.S. citizenship could not have been taken away from him while he was still a minor and through no act of his own. However, if Barack Obama renewed his Indonesian citizenship in order to obtain an Indonesian passport when he was 18 to take his trip to Pakistan, this would be an affirmative action on his part, swearing allegiance to another country, and would create the dual allegiance prohibition of an Art.II natural born Citizen, IMHO. batazoid - My friend you are so wrong on this it is hard to explain it to you. Now you're hung up on dual allegiance and an act of law. Dual allegiance was the motivation of the founders to require Natural Born status. You cannot have it both ways. Anyone born with dual allegiance is not Natural Born. But, this is not the only determining factor. The primary factor is parentage. If your parents are not citizens = not Natural Born, period. If your parents are citizens and you are born with dual citizenship because one or the other or both of your parents convey dual citizenship to you, then your are not Natural Born, period. Your are also wrong about whether he could lose his U.S. citizenship as a minor. In the 1960s the Indonesian laws did not allow for dual citizenship. So anyone that was an Indonesian citizen could not by law also hold citizenship in another country. 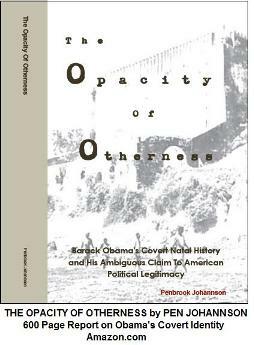 Equally, anyone who acquired Indonesian citizenship by an act of law, which Barry apparently did through his adoption by Lolo, as a matter of law relinquished any other citizenship. It matters not a whit whether Barry was acting on his own. As a minor he was governed by the actions of his parents and if they acted under Indonesian law to make him an Indonesian citizen, then he would (as an act of law) immediately lose his U.S. citizenship. This has nothing to do with the Natural Born issue. Our immigration laws provided a mechanism for Barry to reclaim his U.S. citizenship upon his return to the U.S., once he reached the age of majority. This is called "naturalization". This would apply to any U.S. citizen, even a Natural Born citizen, although once a Natural Born citizen loses citizenship he/she cannot regain Natural Born status, but could regain U.S. citizenship. There is strong evidence that Barry acquired Indonesian citizenship, thereby losing his U.S. citizenship in the process. There is no evidence that he ever re-acquired U.S. citizenship. If this is true, and the evidence seems to support that it is, then Barry is an illegal alien using an alias as POTUS. This is my last try to get you to understand this. I suggest you visit a couple websites that have all of the details on this and try to get an education. I don't think it's that hard, but you seem to just be making stuff up as you go along. I am sadden as well. I was hoping you could show me where I was wrong in my reasoning. But your explanation offers nothing but empty reasoning. So what you are says is that any unwed U.S. citizen whose father was unknown, or a marriage that wasn't legally recognized under U.S. law, cannot be a natural born citizen -- but you don't actually know why? Again, as I see it, your explanation of the immigration laws would be correct if Barry had, himself, taken action to renounce his U.S. Citizenship after the age of 18. Simply by acquiring Indonesian citizenship through Indoesian law through the acts of his mother does not affect U.S. citizenship rights of the minor child. Although I must confess, I am far from an expert in this area. Actually, the Nordyke's Certificates as well as Miki Booth's son's Certificate both contain this medical section. In their case, however, the medical section was utilized as an authorization and signature space with the embossed seal. The Certificate's released by the Hospital contain this section. The certificates released by the Hawaiian Health Department do not. My point in making the comparison is the that the HDOH has notoriously covered for Obama under the guise of legal restrictions. A hospital has other forms of documentation with less stringent security. I am just wondering if the document possessed by the hospital is identitical to the one possessed and issued by the HDOH abettors. If we were able to look at the medical information section of the Nordyke's prior to the signatures of the Deputy Registrar and Director of Health, we would probably see the birth weight and duration of pregancy and whether the births were legitimate. Also, notice on Miki Booth's son's Certificate of Live Birth...the same doctor who allegedly signed Obama's document (Sinclair) also delivered Miki's son. The signatures are somewhat different upon close analysis. Could you please check the comment I posted in your The Mombason Son blog and respond accordingly?? I have some possibly helpful information for you. The medical section is optically cropped from the Obama certificate as it is on practically every modern birth certificate in every state. This is especially true since most Vital Records agencies in the United States are part of the Department of Health, and therefore are "covered entities" under the Health Information Portability and Accountability Act of 1966 (HIPPA) which prohibits disclosure of medical information. The article to which I am commenting is nonsense to anyone who works in the field (as I have) and that the author was just making stuff up. The physician signature on a birth certificate is testimony that that person witnessed the birth. I appreciate you taking the time to address my little points of interests. In this regard, I would like to direct your attention to the actual statement the good doctor assigned his name, to wit: "I hereby certify that this child was born alive on the date and hour stated above." Even I, trying to muddle though life without a Master's Degree, can read, and can attest to the fact that this statement never even remotely suggests the good doctor was actually present at the time of Obama's birth. In fact -- and this is the real point -- to this day we still do not know exactly who it was who supplied the date and time of birth for Barack Obama Jr. As a consequence, this document has no probative value whatsoever as to where and when Barack Obama was born. New full page ad today in the Washington Times National Weekly addresses the crime of Obama forging his long form birth certificate question directly to Speaker Boehner of the U.S. House of Reps. He is the key road block to getting this constitutional crisis resolved. dlpa - It's really good for me to see you and your hard work. Every piece of your work looks amazing. Look forward to learning more from you.